The German group’s lucrative film scoring career began here, one year before Peter Baumann left for a solo career. The trio’s eerie electronica was an early inspiration for Sorcerer, director William Friedkin says in the soundtrack’s liner notes. If he had known about Tangerine Dream, he says he would have used the group’s music for The Exorcist. After the success of The French Connection and The Exorcist, William Friedkin began work on his biggest project to date. Seizing the moment, he embarked on an ambitious and lengthy shoot in the dense jungles of the Dominican Republic and like Werner Herzog with Fitzcoraldo and Francis Ford Coppola on Apocalypse Now, Friedkin battled the elements, came face-to-face with nature and emerged victorious. 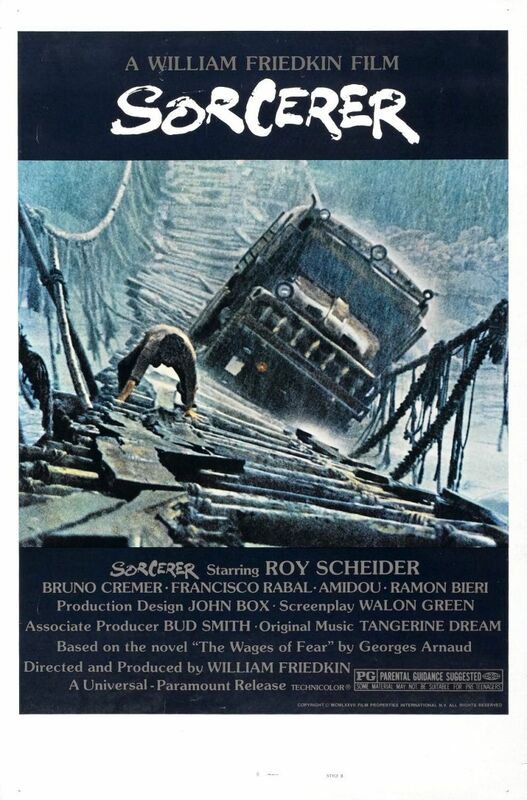 Now, 40 years since its release, Sorcerer is regarded by critics and ﬁlmmakers alike as a true lost cinematic masterpiece – a feat of ﬁlmmaking that encapsulates the revolutionary artistry of 1970s American cinema that is a triumph to behold.